COLLEGE STATION, Texas – The Georgia Bulldogs (12-7, 4-3) succumbed to a late Texas A&M (10-8, 2-5) charge and a clock malfunction that robbed Georgia of a last chance opportunity to fall 63-62 Saturday afternoon at Reed Arena in College Station. After a long review period, the game was called final and the Aggies escaped with the win in which Georgia controlled for majority of the game. The Bulldogs led by as many as nine points with two minutes remaining in the contest before Texas A&M rallied off 10 straight points. Georgia had the ball with 20 seconds remaining and a chance to tie or take the lead then the clock malfunction scenario unfolded. 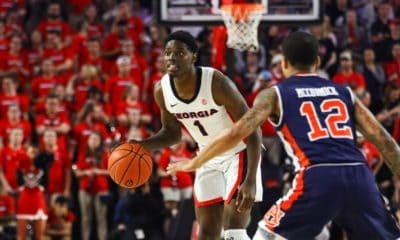 Junior forward Yante Maten supplied Georgia with team-high 19 points, while senior guard J.J. Frazier chipped in 11 points. Redshirt junior guard Juwan Parker grabbed team-high seven boards. Georgia freshman Tyree Crump sank a 3-pointer in the final seconds of the first half to give the Bulldogs the largest lead of the half at 39-29. The Aggies were held scoreless for the last 4:49 of the half, a stretch in which Georgia poured in 10 points to strengthen its lead. Maten led all scorers with nine points while Frazier and Parker each contributed eight points. Sophomore guard William Jackson II hit a jumper at the 10:31 mark to give Georgia its largest advantage of the game at 56-43. The Aggies made their push when they went on a 7-0 run to pull within six points at 56-50 with seven minutes left to play in the contest. Maten and freshman guard Jordan Harris responded by making two free throws a piece to increase Georgia’s lead back to double digits. The Aggies didn’t go away as their final attack ended with the victory. The Bulldogs shot 42-percent from the floor and held the Aggies to 36-percent shooting from the field. 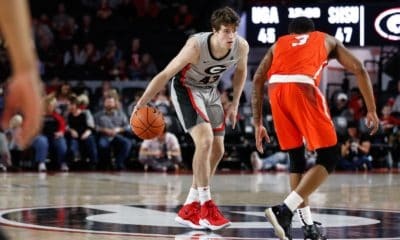 The game was marred by foul trouble as three Georgia players fouled out. 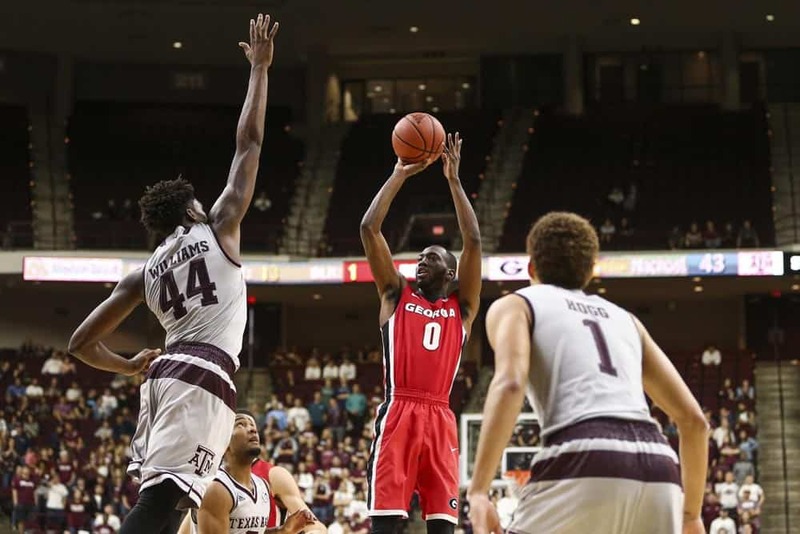 The Bulldogs converted 12-of-14 shots from the free-throw line while the Aggies were 14 for 27 shooting from the charity strike. 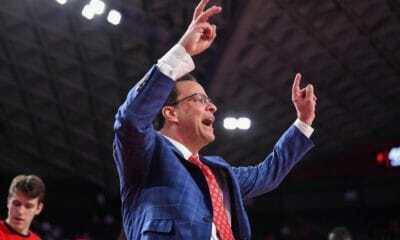 The Bulldogs return home to take on the Alabama Crimson Tide Wednesday night at Stegeman Coliseum. Tip-off is slated for 9 p.m. 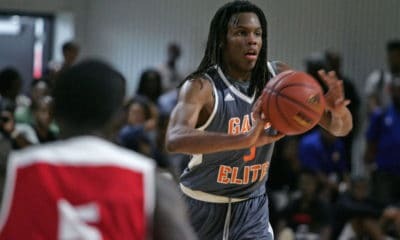 ET and will be aired on ESPNU.